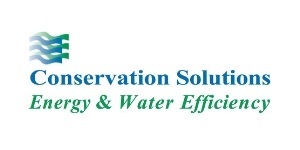 Since 1993 Conservation Solutions Corporation has provided our customers with creative solutions to energy and water problems in their facilities and buildings. We are acknowledged experts in electronic resonance water treatment, water filtration, heat recovery, metering, efficient lighting, plug load efficiency, steam system optimization, heating and cooling system efficiency improvements and creative project financing. We have a staff of dedicated experts available to troubleshooting problems and apply a line of proven and tested “state of the art” technologies.